Well I broke a few nails this week (and I'm not feeling well) so my Manicure Monday is going to be a bit of an easier one! I have never tried Sally Hansen nail wraps before and a few were on sale today as I was going to pick up some goodies to make me feel better - so I grabbed some! 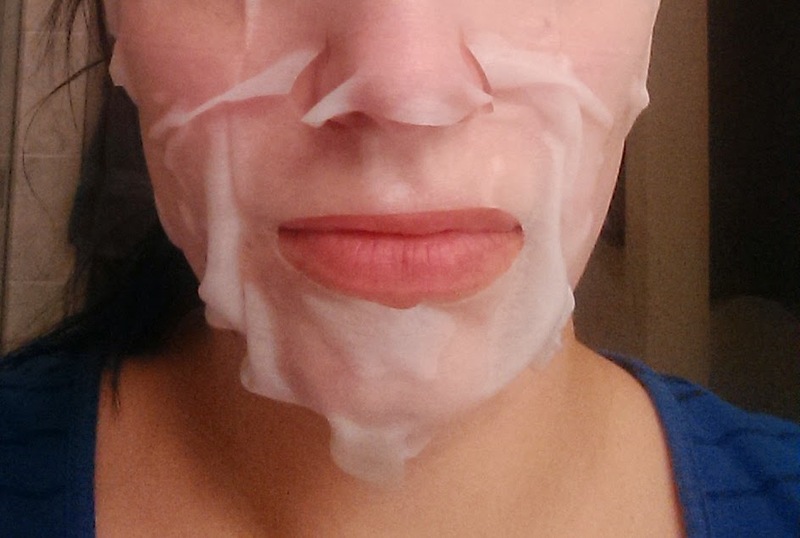 Also, for fun (and a great skin care step) I am going to be reviewing a face mask with every Manicure Monday - this week is a sheet mask by the Face Shop. I have so many different kinds and I use face masks 2-3 times per week now! Let's start with the Manicure! 3. 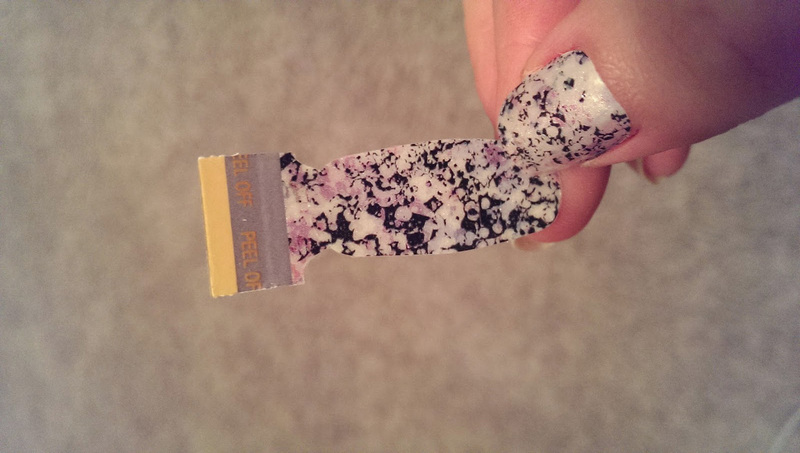 Peel wrap off of back layer (these Sally Hansen wraps are 3 layers - some are only 2, I prefer the 3 layers myself) and place on nail. Try to be accurate as you don't want to keep lifting them up! 4. 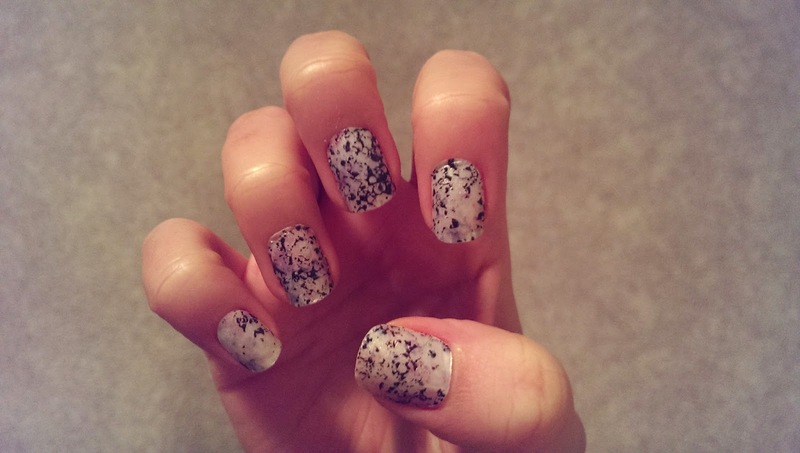 Peel off top layer and smooth wrap over nail - try to smooth out all bubbles and lumps. 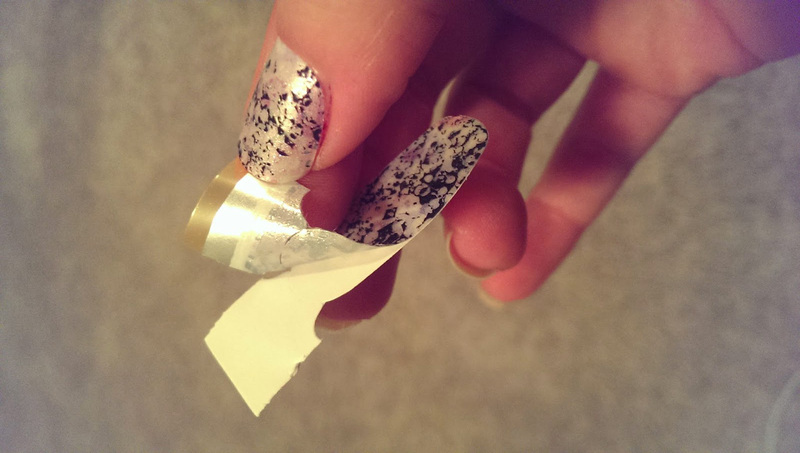 Then fold the wrap over the top of the nail and using the file provided, file off the excess wrap. 5. 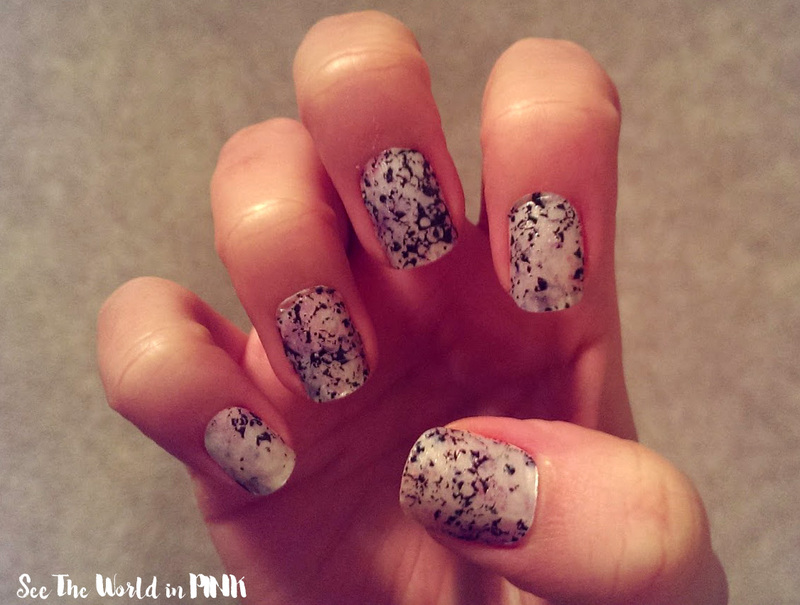 Repeat on all nails - or if you like use some polish to create an accent nail! 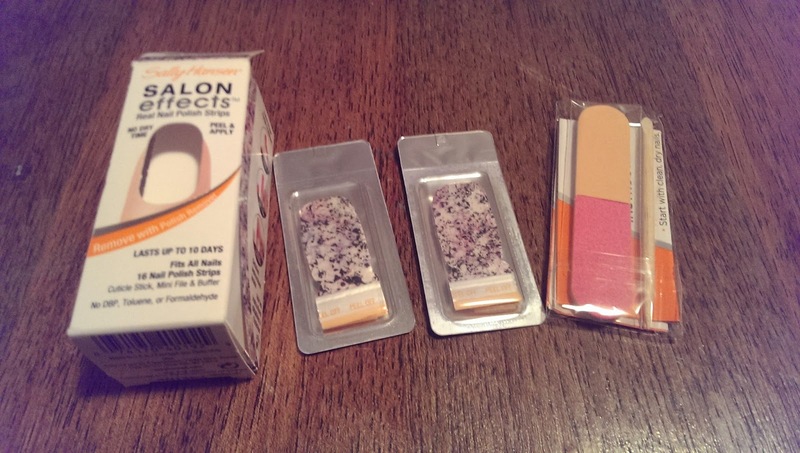 *My favorite part of Sally Hansen wraps is that they do not require you to peel off the wrap - you simply remove with nail polish remover! I love that - most wraps are so damaging when you remove them - I will be repurchasing these! 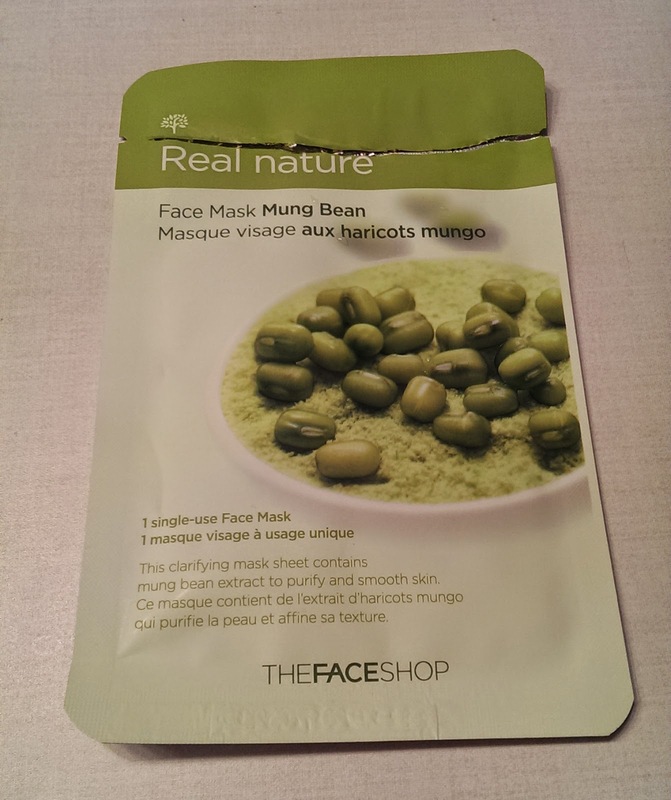 And now, on to the Mask - I used The Face Shop Mung Bean Sheet Mask. *Sorry for the picture - I realized that I didn't take a picture before it was too late - whoopsie! Mung beans are said to have anti-aging benefits and help provide radiance to the skin - this mask claims to purify and smooth skin. *I find most sheet masks to be big on my face - but this one is very saturated that it clung very well and I could move around the house while it was on and not worry about it falling off! 5. Follow with the rest of your skin care routine - serum/moisturize/etc. This one definitely followed through with the smoother skin - mine felt great after!! I'm glad I purchased so many of these masks - they don't disappoint!